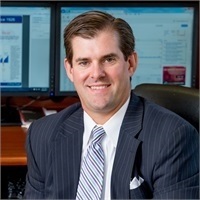 Hal Holland | Vision Financial Group, Inc.
Hal is a 1993 graduate of UAB, where he majored in finance with emphasis on investments. After graduating he began his career as a financial advisor. In 1997, he transitioned to ProEquities, Inc. Over the next 10 years he continued to work with clients and began various leadership roles, specifically in the financial institution division of ProEquities. In January, 2008, Hal helped create Red Mountain Wealth Management, a subsidiary of Red Mountain Bank. He was responsible for helping clients manage their wealth and meeting their financial planning needs. In December, 2011, Hal merged Red Mountain Wealth Management with Vision Financial Group, Inc. Hal currently serves as Vice President and Senior Advisor with the firm. Hal is a Registered Financial Consultant and earns 40+ hours of education each year to keep his RFC® designation. Hal has served on various committees and boards over the years for organizations including Leadership Vestavia Hills, Leadership UAB, Alys Stephens Center Junior Patrons Board, and ACTION Civitan Club (past president). He was also part of MS Leadership which raises money for National Multiple Sclerosis. Hal and his wife, Jeannine, live with their two sons in Vestavia Hills, Alabama. Hal’s passion away from his career is coaching youth sports. When he is not in the office, you can find him either at the gym, on the diamond, or on some football field. Please be advised that Hal holds Series 07, 63 and 65 licenses and is registered in the states of AL, FL, GA, NC, SC, TN, TX, VA and WA. For residents of other states, proper licenses and registrations must be obtained by Mr. Holland before proceeding further.